It has been over a year since I updated my progress on implementing Erica Stone’s Straight Line Passive Amazon Commissions and Extreme Review. I’ve carried on with writing more posts following the techniques taught in the books and with help from Erica in the form of her one-to-one course that she releases each year to limited numbers. She does put a lot of effort and time in helping you over the time needed to put in place an authority style review site – it is the basis of the Straight Line course. Since then I’ve started another Expert Review blog (with Erica’s coaching) in a different niche. Then I’ve just been researching, writing and posting reviews, as well as information posts. So nothing too exciting really at all. The social media sites I’ve let slip. I’ve only been posting my reviews and info posts to the sites and not been engaging or growing followers apart from the initial burst that is described in Pinplosion. As expected from that lack of owrk in this area I’m not getting many visitors from them. The additonal posts I’ve made in that time over the 2 blogs is 144 posts over 14 months. They’ve certainly kept me out of trouble. There has been a good increase in commission earned. The previous December it was $112.50 from one blog. I wanted more of course but still it is a good amount of money to earn in a month. It is a big increase over previous months.With December being a big month for shopping it is probably likely to see a decrease in January. The bulk of the commiissions are from the 2nd blog I started. These are long posts typically over 2500 words for each of the reviews and up to 5000 words in some cases as needed. They take some time to write as well as to research and follow up with manufacturers. I’ve definitely come a long way since I started 2 years ago. I’ve got faster at writing and also hopefully better at writing too. For the whole 2 years I’ve earned $5516.95 and for the 2015 year it was $5,292.47. 2/3rds of that came from Blog 2. This is a gross number and doesn’t make an allowance for hosting and cost of the domains – which are the only costs I’ve spent on these sites besides the cost of the hosting. On a general point it is amazing how poor some of the product descriptions are online to help people in deciding whether a product is the right one for someone. There is information that you’d think would be there, that is mentioned frequently in reviews but many of suppliers miss off the listing. They seem to want to make it hard to find it out for some reason. I end up searching all over the place for the information and contacting the supplier. This is one of the ways these reviews help visitors – you’ve done all the digging for them. The reviews have that information plus your view on how it can help them whcih isn’t available as easily elsewhere. It works. You can make money from writing long informative reviews and rank high enough on Google to get traffic and clicks to Amazon that convert to sales and there by commissions. For me it has been about perseverance as much as quality and style of the writing. I think if I was a better writer my results would be much better. I’m working on having a more personal style and showing people how it can help them rather than just describing the product. It helps to have an interest in what you are writing about in the products or at least in a related niche. The blog 2 review site is one where I had a little knowledge in a related niche. I found writing about the products easier and knowing what people are more interested in knowing about the product. Also the average price of the products are higher than in the Blog 1 niche. I think these factors have helped in making this a more successful blog so far. I will continue expand the blogs with more reviews and information posts as they are both on broad domain names that helps to expand inot other related topics. I will improve the social media of the blogs to get more engagement and hopefully get more visitors that way. I will continue to improve my writing by looking at other successful blogs ot see how they review products and model my writing on them as well as read up on what makes good content. I will continue to increase my speed of writing and improve my organization of research and time management to enable more content to be online increasing the possiblility of more commissions. This is to build my online income from a second income to something that could be a first income and beyond. I did want to be earning more from both blogs by now. So it is disappointing even though earning over $1000 was one of the goals when I started it just took longer than I expected. I think someone with better writing skills, speed and determination can make the Erica’s course Straight Line and Extreme Review work for them quicker. But it isn’t something where it is going to be an overnight success. You are dependent on Google finding and ranking your site naturally which takes time. With better writing you’ll get more engagement, clicks across to Amazon which together mean more visitors and more commissions. I think anyone who is determined, can write English to a reasonable standard, perseveres and is determined can build themselves at least a good solid second income (as I’ve done) and with a little more skill they can build it into a job replacing income and beyond. Thanks, Yes it’s great to be making headway on this now. Wonderful post Paul, I am having Erica’s Extreme Review but havent been able to implement it in the full sense. I have only recently started my blog so perhaps it will take time. 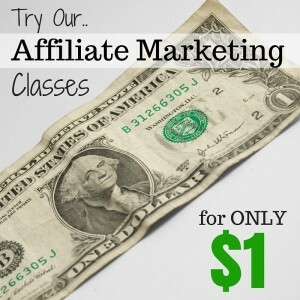 The other of her product I have bought is ‘One Hour Affiliate Marketing’ it is also great and I am implementing that as well on my blogger blogs. Are you having this one too? Thanks. Your blog looks great. Extreme review does take time to get going – it took me awhile to get started with it too. I’ve done some work on Erica’s One Hour Affiliate and have blogger blog started but it needs more work – I’ve been concentrating on writing reviews for my Extreme Review sites instead. It is a good course and Erica is very helpful when you ask her questions. Thanks a lot Paul, I am glad you liked my blog, though I am a bit skeptical regarding it, since it is not very ‘niche tight’. I will be applying Erica’s strategy though and see what happens. Nice to know that you have bought her other book as well. Do keep us posted when you start making sales on your blogger blog.